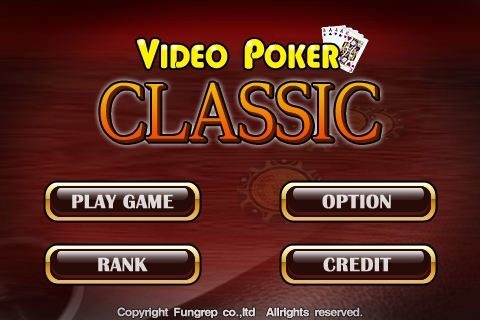 Video Poker Classic v1.0 is a famous casino game based on five-card draw poker. It is designed to optimize the game for the iPhone or iPod touch. 1. Betting : maximum 5 bets are permitted. 4. 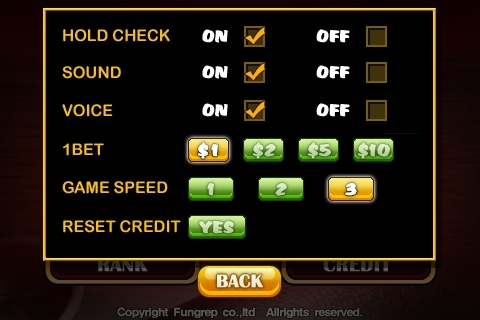 Obtain game money when occur up to "JACKs". 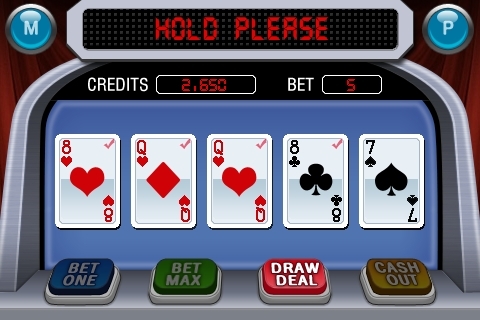 Recommending appropriate “Hold card” to increase the probability of obtain higher. Set up betting money $1, $2, $5, $10 each and can bet maximum up to $50. Double betting by pre-earned money can be higher betting and can be give player more excitement. Various display transitions and effects will be fun. Simple and high-quality graphical screen design provides elegant design. 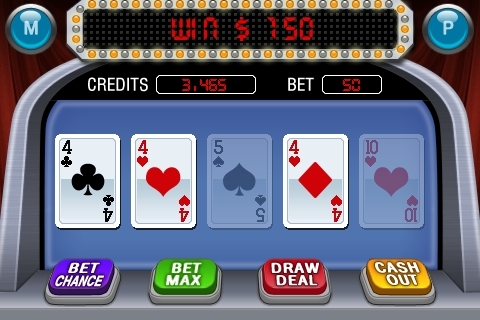 Accumulated game money during playing can be acquired at once Jackpot systems. 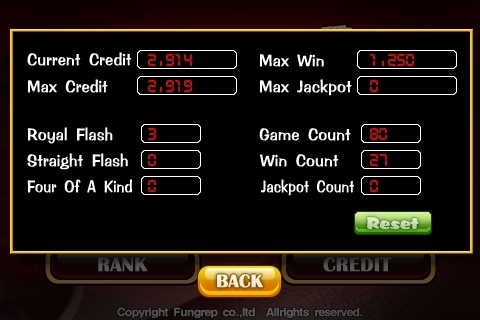 Using the low power system of “CK IPhone Game Engine” optimized to iPhone or iPod touch, players can enjoy to playing for long time.